Patterson, Cecil Anna (Née Hammond). Loving mother of Stephanie Patterson, Lawrence (Danielle) Patterson, Richard Vennemeyer, Tiffanie (David) Patterson. Devoted grandmother of 12 and 8 great grandchildren. Dear sister of George Hammond and James Hammond. Entered peacefully into eternal rest surrounded by her granddaughter, Cecilie, and son Lawrence, on Tuesday, March 26, 2019 at 76 years of age. Visitation Meyer Funeral Home, 5864 Bridgetown Rd. On Monday from 11:00AM until the time of Funeral Service at 1:00PM. 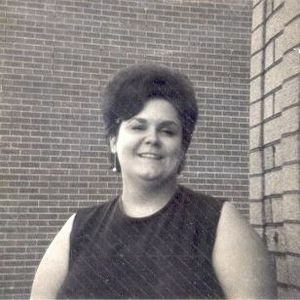 Life Stories provides friends and families a forum to post their favorite stories and memories of Cecil Anna Patterson ensuring the precious experiences are never forgotten. Share joyful times, post a photo that captures the moments you cherish, and allow others to reply, relive and remember.